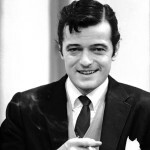 Robert Goulet took Broadway by storm with his debut as Sir Lancelot in the original cast of Camelot (1960), alongside Richard Burton and Julie Andrews. 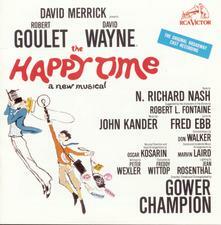 After his Broadway debut, Goulet enjoyed an illustrious career that lasted over half a century. His rich baritone voice – equally adept at picking up nuances of a Broadway musical, caressing the lyric of a romantic ballad, or amplifying the excitement of a swinging melody – enriched the lives of music lovers worldwide. Born in Lawrence, Massachusetts, Goulet was the son of French Canadian parents. He began singing when he was five years old at family gatherings, though early on he developed a long-lasting fear of performing publicly, which he eventually overcame. At age thirteen Goulet and his family moved to Canada, where he spent his most formative years. His first professional appearance was at age sixteen with the Edmonton Symphony Orchestra. Following a two-year stint as a radio announcer, he was awarded a singing scholarship to the Royal Conservatory of Music at the University of Toronto. He was a popular young star in Canada in the 1950s, and appeared in scores of theatrical, radio, and television productions. But Goulet’s Broadway bow launched him internationally. It paved the way for an array of over sixty bestselling albums (many of them available on Sony), international concert appearances, motion pictures, numerous television specials, variety and episodic television guest appearances, and his own popular television series, Blue Light. Ed Sullivan invited “The American Baritone from Canada” to appear seventeen times on his weekly variety show. His Broadway credits include the leading part of Jacques Bonnard in Kander and Ebb’s musical The Happy Time (1968), for which he received a Tony Award® for Best Actor in a Musical; he can be heard on the original Broadway cast recording. 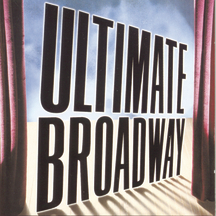 He returned to the cast of Camelot for its 1993 Broadway revival, this time playing Arthur, and can be heard in the role he created – that of Lancelot – on the original Broadway cast recording. 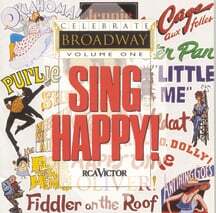 Other Broadway credits include Ken Ludwig’s play Moon over Buffalo and the musical of La Cage aux Folles, and Goulet’s extensive stage work elsewhere includes roles in Little Women, Sunshine Town, The Optimist, Dream Girl, Carousel, Finian’s Rainbow, Gentlemen Prefer Blondes, The Pajama Game, Beggar’s Opera, Bells Are Ringing, Meet Me in St. Louis, On a Clear Day, Kiss Me Kate, The Fantasticks, Man of La Mancha, and South Pacific. Equally adept at comedy and drama, he performed in numerous television shows, including The Name of the Game, Big Valley, Police Story, Cannon, Dream Merchants, Fantasy Island, Make My Day, In the Heat of the Night, Burke’s Law, Get Smart, George and Leo, Just Shoot Me, Two Guys and a Girl, Las Vegas, and King of Queens – as well as Robert Goulet specials. His film credits include Honeymoon Hotel, I’d Rather Be Rich, I Deal in Danger, Underground, Atlantic City, Beetlejuice, Scrooged, Naked Gun 2½, Mr. Wrong, Toy Story II, G-Men from Hell, and The Last Producer. 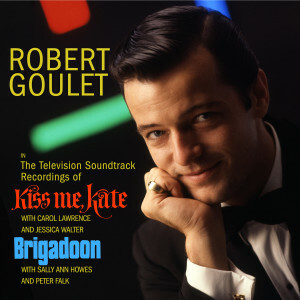 Goulet died in Los Angeles in 2007.